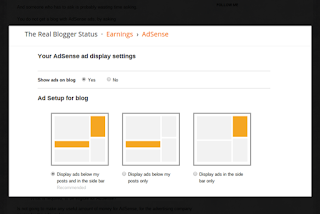 One sign of confusion, in AdSense Help Forum: Blogger / Host Partners, involves new blog publishers, who want to immediately add ads, after starting their blogs - and need reassurance, about how soon they will be seeing income. What is the actual qualification level, for AdSense? This is a question, from somebody who probably does not understand the AdSense approval process. If AdSense is run properly, final approval is not based on any fixed minimum. There are too many different blog / website subjects, and advertising targets, to have a consistent minimum across all product lines. I've seen too many blogs with very little content - significantly below the often stated "minimum" of 50 posts, 100 - 200 words / post, showing ads - to believe that there really is one common minimum qualification level. Advertising and other paid promotional material added to your pages should not exceed your content. Furthermore, the content you provide should add value and be the focal point for users visiting your page. Some of the experienced helpers in the forum seem to suggest a very restrictive "qualification level". 100 posts, 500 to 1,000 words / post. There are more blogs that will never get ads - even after being given approval. Qualification is based on supply vs demand, for each blog subject. My suspicion is that the qualification level is based on what ads are being sold (by the ad managers) vs what blogs and websites are being offered for ads (by the owners). It would make no sense to qualify a blog about automobiles, based on current standards for selling ads about bicycles. At any time, these may be more blogs about bicycles, than about automobiles. Automobiles cost more than bicycles, so it's likely that one automobile ad click is worth more than one bicycle ad click. Next month, there may be more advertisers selling ads about bicycles (in San Francisco), than about automobiles (in Los Angeles). Approval is based on blog and post size - ads are sold, based on a variety of details. Qualification is based on a combination of details. At minimum, I would bet eligibility for ads is based on a combination of metrics - including current demand. Demand for ads of a given language, location, and subject. If a given ad manager is prepared to pay for 5 blogs about automobiles in Los Angeles, the best 5 blogs, based on current metrics, will be "qualified". This week, some blogs with 50 posts may be chosen to host ads. Next month, with the Tour de France scheduled for San Francisco, there will be more market for ads about bicycles there. With more ad managers paying for ads about bicycles in San Francisco, blogs about automobiles in Los Angeles will have less demand. Automotive blogs may be chosen based on 75 posts / blog and 200 words average / post - and some blogs about bicycling in San Francisco, being more in demand, may be chosen with 25 posts / blog and 100 words average / post. Work on your blog more - and your blog will host ads sooner. What post count, post length, traffic level is required, for qualification? Work on your blog - and don't spend time asking about qualification level. What you need, to make serious bucks, is going to be more that mere qualification level. And ad managers want to pay for ads hosted on blogs that will be in business longer, and deliver relevant traffic consistently - because that's where more paying customers originate. And blogs that make more money have owners who are better motivated to publish more - and stay in business longer. 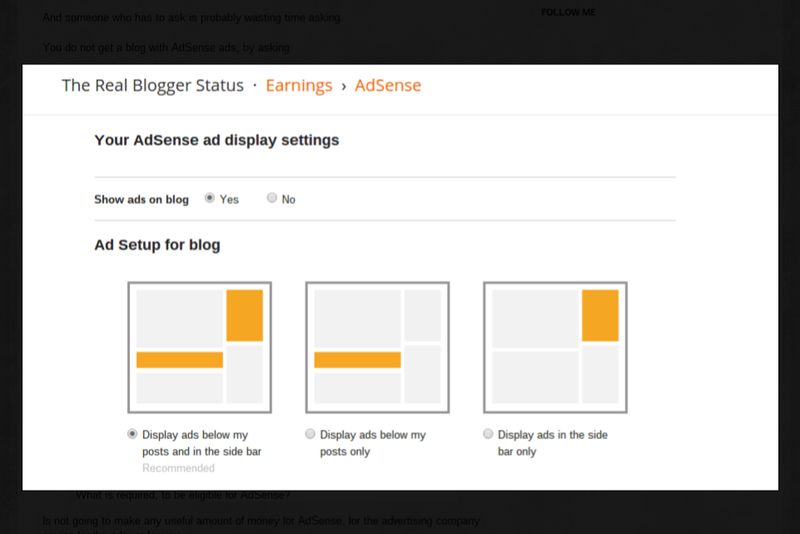 Some #Blogger blog owners want to host AdSense ads on their blogs - with their blogs immature, and lacking content. They ask about qualification levels, rather than look at how valuable their blog may be (or not) for hosting ads of a given subject. They ignore the concept of supply and demand - even though that's very likely as important as blog subject - or size.